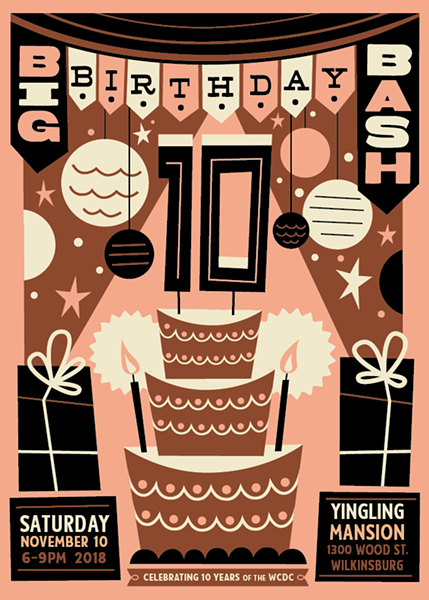 On Saturday, November 10, the Wilkinsburg Community Development Corporation (WCDC) will host the Big Birthday Bash, presented by TriState Capital Bank, a fundraising gala to celebrate 10 years of their work to promote the revitalization of Wilkinsburg. This year’s event takes place at the historic Yingling Mansion. Don’t miss out on your chance to support the WCDC at the Big Birthday Bash! This year’s event will feature live music by the Kevin Howard Jazz Trio, a silent disco, festive food and drink, auction and raffle, and even a little magic!